The biceps muscle functions to bend the elbow and turn the hand to face palm-up. The term “tendinopathy” is used to describe injury and pain of a tendon. This is most commonly due to overuse. 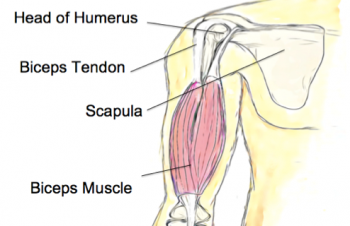 Biceps tendinitis tends to affect the long head of the biceps more commonly. Both the tendon itself and the tendon sheath can be the source of pain.